Many women fear the "baby weight" that usually accompanies pregnancy and look for any means possible to stay at their desired weight, including using slimming pills. Though these tablets are usually sold over the counter, there is no conclusive evidence as to whether or not they work at all much less during pregnancy. Instead of trying to rely on slimming pills to help you maintain a healthy pregnancy weight, speak with your doctors about healthy nutrition and exercise regimes that you can devise to make sure that both you and the baby get all of the vital nutrients that you need as part of an otherwise healthy lifestyle. Slimming pills are generally touted as herbal remedies that help weight fade away, but rarely do these pills come with detailed information about how they work or even good evidence that they are successful. Medical professionals often advise that any actual weight loss gained during a period of taking slimming pills actually comes from other means, such as due to a laxative or diuretic effect of the pills, because the pills are used in conjunction with a calorie controlled diet or because the individual taking the pills also embarks on an exercise programme at the same time. In the past some slimming pills (such as those containing fen phen) have even contributed to health problems. Today in the United Kingdom the two medications approved and prescribed for obesity are orlistat and sibutramine - any other type of pill proclaiming to help you use weight comes without medical approval. Instead of attempting to use weight with slimming pills during your pregnancy, try to eat a healthy, balanced diet rich in vitamins and minerals. Talk to your doctor about special vitamin supplements to take during pregnancy, and avoid foods such as raw fish (oysters and sushi included), undercooked chicken and meats and soft cheeses. Also give up any alcohol and/or tobacco products which could harm the baby. Caffeinated beverages like coffee, tea and soda should also be cut down and replaced with more nutritional options such as water, 100% fruit juice or pasteurised milk. Taking regular exercise is also important during pregnancy and many options exist specifically for mothers-to-be. Pregnancy yoga classes, water aerobics and workout DVDs are all easy options targeted specifically towards pregnant women. Discussing your optimal diet and exercise programme with your doctors will help you rest easy knowing that you are doing all that you can to maintain a healthy pregnancy. Slimming pills often seem too good to be true and there may well be a reason for this. 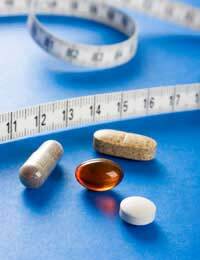 Not only can slimming pills become expensive if they are taken once or more per day, but there is little evidence that they actually work. Skipping slimming pills in favour of a well planned diet and well thought out exercise regime is probably the best way for pregnant women to maintain a healthy weight. Talking to your doctors about your nutritional needs is the best way to get information on your specific situation.